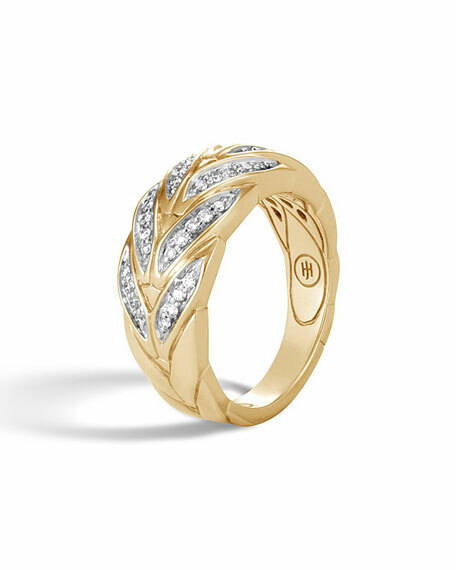 John Hardy ring from the Modern Chain Collection. Diamond pavé details; 0.24 total carat weight. Ring measures 3.5mm to 9.5mm wide. For in-store inquiries, use sku #2538817.